Rabbi Chai Posner is Associate Rabbi of Beth Tfiloh Congregation in Baltimore, MD. Rabbi Posner also teaches Talmud and Theology in the Judaic Studies department of the Beth Tfiloh Dahan Community High School. Before joining Beth Tfiloh, Rabbi Posner served as a rabbinic intern with the Beth David Synagogue in West Hartford, Connecticut and Kingsway Jewish Center in Brooklyn, New York. He developed his interest in teaching and working with children through his years at the Flatbush Park Jewish Center Camp, where he served in a variety of capacities, including Division Head, Sports Director and Head of Judaic Studies. Rabbi Posner holds a B.A. in Judaic Studies from Brooklyn College. 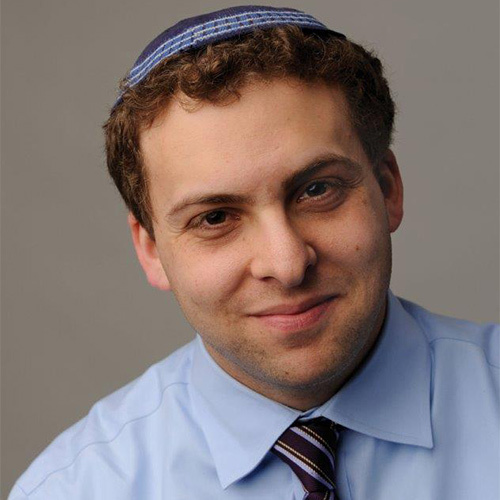 Rabbi Posner’s skills and interests include reading Torah and all Megillot, leading services, spending time with his family, and playing baseball and basketball. He currently lives in Pikesville, MD, with his wife, Rachel, and his three sons.